All types of Blinds Custom Draperies Carpeting and Reupholstery. When you deal with South Florida Interiors you deal with the owner, not a salesperson working for a commission. When you deal with South Florida Interiors, you deal with the owner - not a salesperson working for a commission. Our Service and Quality is Second to None. Our prices are very competitive because our overhead is low. Ideal for horizontal or vertical windows representing the industry's largest selection of genuine hardwoods, aluminum, vinyl and fabrics, Hunter Douglas sets the gold standard for blinds offering you maximum view-through when opened, optimal privacy when closed. Our extensive selection allows you to find the ideal match for your windows, your home and your life in luxurious hardwoods or durable composites. When it comes to curtains, drapes, or window treatments, we will help you choose from all the major brands such as ADO, Duralee, Magitex, and Wesco fabrics. "Thank you for your recomandation on the Silhouettes. They are absolutely beautiful and we are glad we listened to you and went with the three inch version. We will recomend you to all our friends and neighbors." Read more..
"Thank you for your recomandation on the Silhouettes. They are absolutely beautiful and we are glad we listened to you and went with the three inch version. We will recomend you to all our friends and neighbors. "Read more..
"Stuart we have to give "DO" to you and your company. Our drapes are absolutely geourgeous we love everything about them. You have the patients of a saint. John, your installer has hands of gold. 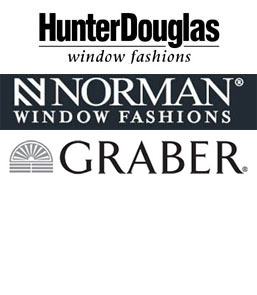 We will recomend you to anyone that needs drapes or blinds. "Read more..
Stuart Cobb is President of South Florida Interiors. He is originally from Boston, Massachusetts and moved to South Florida in 1967. Additionally, he ran the largest drapery company in South Florida for 15 years which was owned by his family and then formed his own company named South Florida Interiors in 1993. Call us today to schedule a no obligation, in home appointment to help decide the perfect product for you.